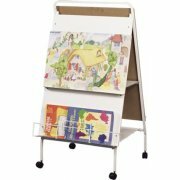 This Easel and Storage Unit easily moves your supplies from classroom to classroom! 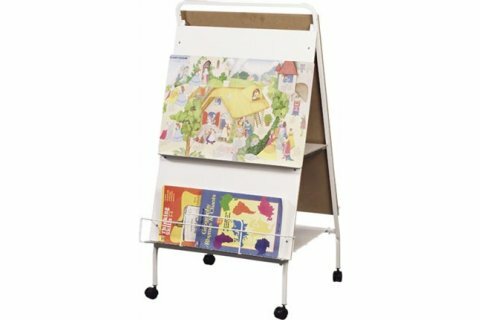 Ideal for presentations for early-childhood and small work. Can be used by two people at a time. 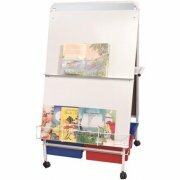 Melamine writing surfaces are 30"W x 43"H.
2" casters, 2 of which lock, for easy mobility.